You've been on the fence about running a marathon this fall. Should you or shouldn't you conquer the 26.2 this year? Then when you did decide that you wanted to make a marathon milestone, you couldn't hustle to the computer fast enough to score one of the 2,000 spots that remained to the Windy City's race on Tuesday before it closed. Don't despair: You can still mark a marathon off your autumn To Do checklist. It may not be in Chicago, but there are plenty of other cities beckoning runners--and they're cool, too. Quad Cities Marathon. September 26. OK so the Quad Cities doesn't sound like the most exciting tourist destination but it's so close to Chicago in comparison to some other fall races that it at least has to be up for consideration. Sometimes a hotel room and a tank of gas beats a flight and rental car. Toronto Waterfront Marathon. September 26. Many have labeled this a fast course that can make for Boston-qualifier times. Lakefront Marathon. October 3. Being in Milwaukee, this marathon tends to draw a huge crowd, within the race's capacity, from Chicago and the surrounding area. And oftentimes runners choose this race over Chicago because it's smaller, has a totally different course that's more country than city, and it's point-to-point instead of twisting through the city. Twin Cities Marathon. October 3. When you're a Midwest runner and the date of Chicago's flat and fast marathon doesn't fit your schedule--or as in 2007, the Windy City's 80-plus-degree temps were far too warm for your running pleasure--plan to run your race a week earlier in the Twin Cities. You get similar conditions in that you run through a city, have crowds cheering you on and lots of scenery. Plus you still get fast runners, crowds to feed off energy-wise, fun and a chance to PR. If that 10-10-10 date is stuck in your mind as the lucky day to reach that marathon feat, consider running the Portland Marathon, Steamtown Marathon, Wichita Marathon, or Royal Victoria Marathon, to name a few. Indianapolis Marathon. October 16. If date doesn't matter, hold off six days from Chicago and head to Indianapolis for this smaller but still fast marathon. Detroit Free Press Marathon. October 17. International flair reigns supreme in this 26.2-miler that starts and finishes in Detroit but has a course that includes crossing the Ambassador Bridge into Canada and running through the Windsor Tunnel. 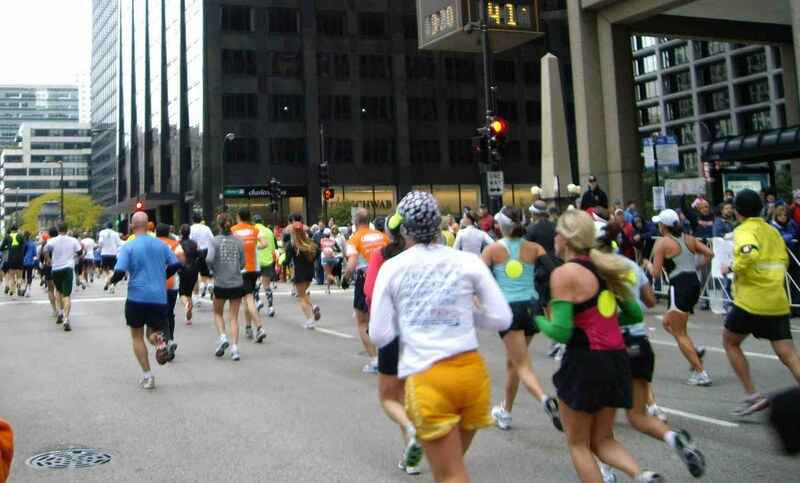 While you have to plan ahead to run thisrace these days, you used to be able to sign up at the last minute which was perfect for anyone who ran Chicago and had a bad day or was going to run Chicago but needed another week to prepare for the distance. Grand Rapids Marathon. October 17. 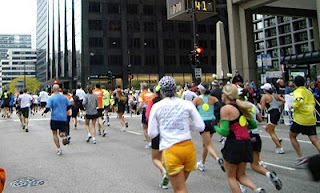 This one's even closer than Detroit and has welcomed Chicagoans with open arms--take 2007 for example where race organizers offered a deal for Chicago Marathon runners looking to officially finish a race (Chicago was canceled while runners were on course and labeled a fun run, of sorts, due to the extreme heat). Wisconsin Dells Marathon. October 24. The Wisconsin Dells is known for its plethora of waterparks and random themed excitement in the middle of Wisconsin, but this year it'll be luring marathoners for the first time. Indianapolis Monumental Marathon. November 6. If the other Indianapolis marathon doesn't fit in the schedule or if an earlier fall race doesn't produce the time you desire, consider this one. Plenty of races to choose from and plenty of other opportunities to make 2010 the year of the marathon. And if the above choices aren't appealing enough--they are only a handful of what's available in the Midwest, after all--check out even more options at marathonguide.com.